For proper maintenance of commercial buildings, you should have some insight regarding commercial building roof leaks and repairs. You have to be alert to ensure that you diagnose damages and irregularities on your roof thus seek repair services. Normally, roof leaks are caused by the tear and wear of roofing materials. Leaks could also result from corrosion or rusting of roof flashings or sealants. With the exposure to sun and other weather conditions, roofing materials will definitely wear out with time. The rates of wearing out will vary and it depends on the type of roofing materials. Different materials such as slate, asphalt and shingles will wear out at different rates. In some instances, damages and leaks on roofs may not necessarily come with aging. At times, roof damages may occur due to natural events such as storms, earthquakes and tornadoes to name just but a few. Human errors such as shoveling snow from roofs using methods that are likely to harm the roof may result to damages. The original installation of the roof will also go a long way in determining its longevity and efficiency. Roof flashing mistakes are some of the major causes of leaks. If the roof flashing is poorly installed or omitted, the roof is likely to leak. The commercial buildings' roofs should be constantly inspected. Regular inspection will enhance timely repairs and maintenance. When it comes to commercial building roof leaks and repairs, the building owner should always be alert. What are some of the signs that your roof could be leaking? You may detect some wet spots, standing water or even some mold in your house. Other obvious signs of roof leaks include moisture patches on the ceiling. You could also notice some wet patches on the wall. Whenever you notice these signs, you should have your roof inspected for damages. Roof repairs are essential whenever you notice some damages on your roof. The repairs should be conducted on timely basis. What may have started as a small roofing problem could deteriorate and get out of hand if it is left unattended. Eventually, you may be forced to replace the entire roof and this would be much more expensive. It is therefore very important to ensure that immediately damages are noted, they are handled. By being alert regarding commercial building roof leaks and repairs, you can save a lot of energy. After repairing a leaking roof for instance, chances are that you will incur much lower energy costs. Leaking roofs are not good insulators thus are definitely not energy efficient. If you have a leaking roof especially during the winter months, your energy bills will span out of control. Whenever you are planning to have any type of repair conducted on your roof, it is advisable to go for professional roofers as opposed to D-I-Y. Repairing a roof is not as easy as it may seem. To begin with, the task is very dangerous as you could fall from the top of the house. Why not use a professional who is well trained and avoid risking your life? 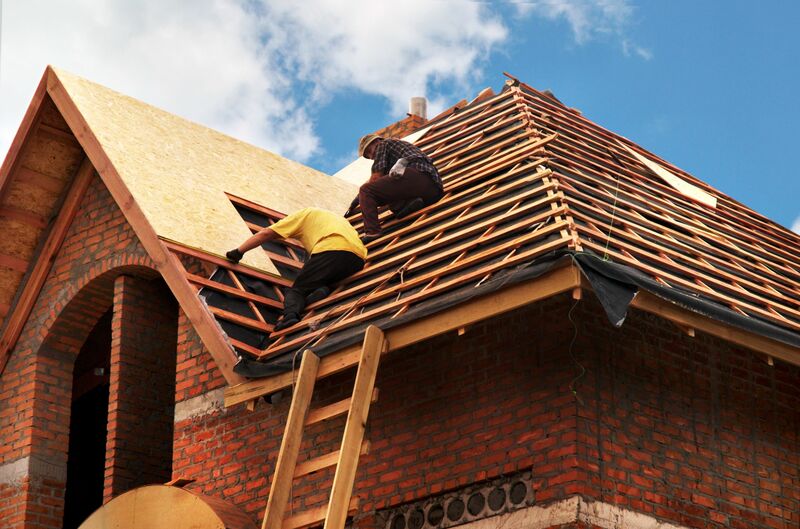 The roofing contractors offer wide range of services. Besides roof repair, maintenance services are also offered. Even after having your roof repaired, failing to maintain it well will result other damages. The contractors could assist you in maintaining the roof through regular cleaning for instance. You should ensure that debris and standing water that accumulate on the roof is removed every now and then. This will help prevent damages and leaks from occurring. A roof is one of the major investments in your commercial building. Just like you value and maintain your precious investments, the roof should be no exception.